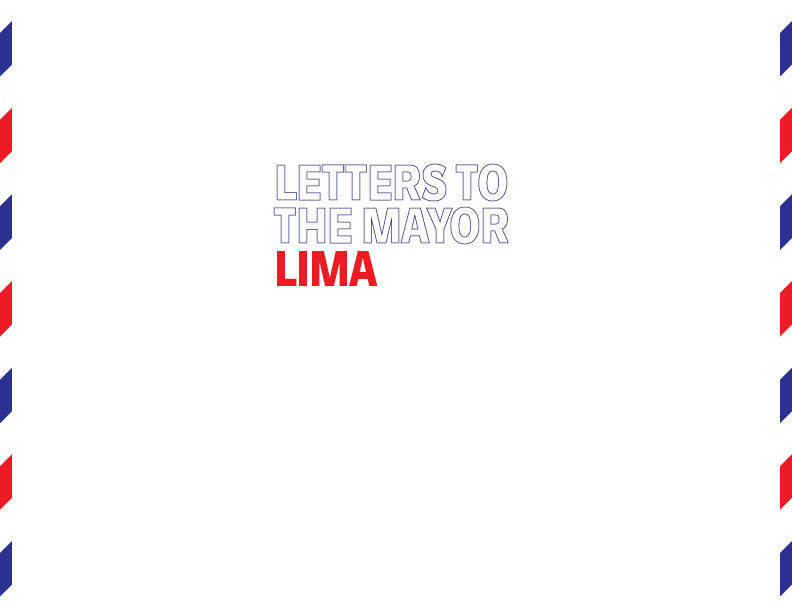 Letters to the Mayor: Lima, Curated by Ernesto Apolaya Canales, Claudio Cuneo Raffo and Jorge Sánchez Herrera in partnership with the Patronato Cultural del Peru, 2018. Initiative of Storefront for Art and Architecture. 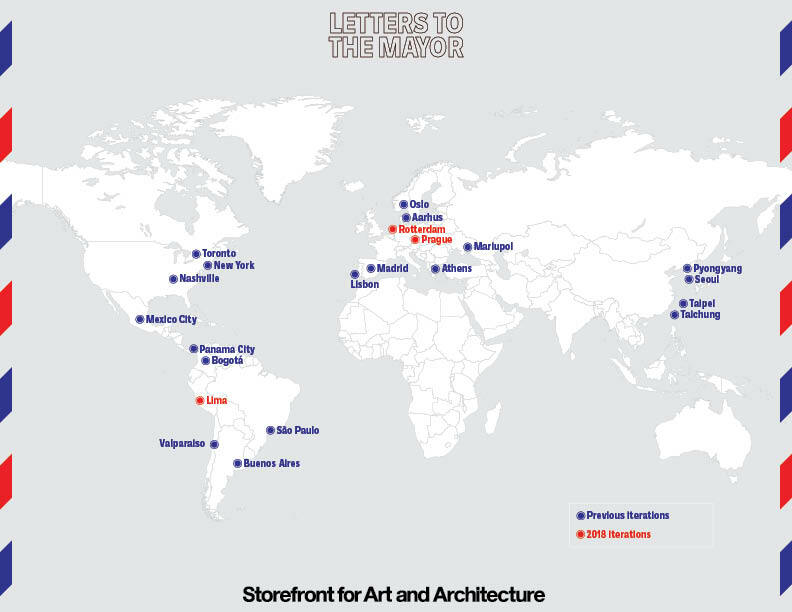 Storefront presents Letters to the Mayor: Lima in collaboration with the Patronato Cultural del Peru and curators Ernesto Apolaya Canales, Claudio Cuneo Raffo and Jorge Sánchez Herrera as part of the global project, Letters to the Mayor. Each iteration of Letters to the Mayor presents a collection of letters by more than 100 architects, addressing the most pressing issues facing their city. 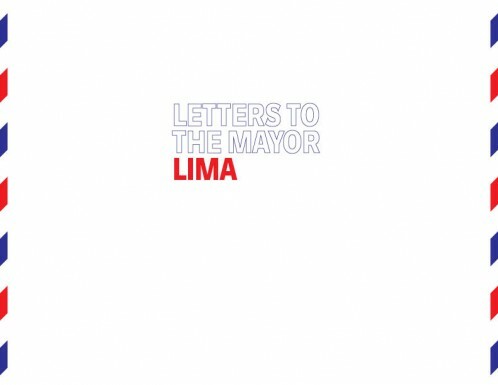 Letters to the Mayor: Lima invites architects to write to the future mayor of Lima. Mayoral elections will happen on October 7th, 2018. Live stream a discussion between the newly-elected mayor of Lima and various local urbanists, architects, and others here from 5 pm–8 pm EST.